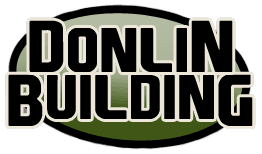 Donlin Building Inc. has served the agribusiness and construction needs of East Central South Dakota for over 40 years. With a humble beginning in the bin moving business, Donlin Building Inc. has evolved into an agribusiness and construction specialist company, featuring innovative products such as Butler Buildings, Brock Grain Bins, Lite Form insulated concrete forms, and Decorative Concrete. With a humble beginning in the bin moving business, Donlin Building Inc. has evolved into an agribusiness and construction specialist company, featuring innovative products such as Butler Buildings, Brock Grain Bins, Lite Form insulated concrete forms, and Decorative Concrete.